Palm Sunday. There can be no doubt that Jesus sparked great controversy due to his actions on Palm Sunday. In the life of the church, we think of this day as a joyous celebration, one that involves little children whipping each other with palm leaves and, subsequently, their parents transforming those leaves into palm crosses. Yet, for Jesus, all of the pomp and circumstance was bitter-sweet. 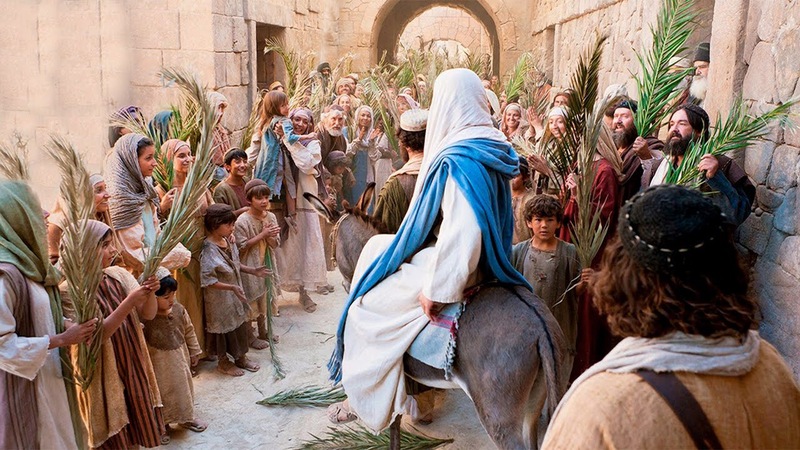 It must have been a sight for him to see all of those people, thousands, crowded around him, laying branches before the donkey carrying him, and shouting, “Hosanna”, a Hebrew word that means, “Help”, or “Save, I pray.” It must have been awesome to witness those crowds hailing him as the Messiah. With that said, he also knew that the Romans would not ignore the fact that the crowd was hailing him as “King of the Jews.” Nor would King Herod Antipas. Nor would the High Priest, who had much politically to lose if Pontius Pilate were to choose to intervene and stomp out any potential rebellion. Jesus knew that, even though the crowds were hailing him as king on this day nearly 2,000 years ago, they would not be hailing him as king by the end of the week. Jesus’ choosing to ride into Jerusalem on a donkey shows that he understood himself as the fulfillment of Zechariah’s prophecy of the coming messiah. He understood himself to be the coming King that would liberate God’s people. With that said, he also knew that the kind of liberation they were seeking was not the kind he was bringing. The people wanted a liberation from the tyrannical rule of Rome; however, who would save them from the tyrannical rule of sin and death. Even if one could have overthrown the Roman Empire, what would stop him or her from becoming yet another tyrannical ruler. Look at the kings of Israel and Judah. Each generation of rulers became more wicked than the last. In what ways have you closed your heart to Jesus, the Christ? Are you willing to allow the passion of our Lord to soften your heart, once again, and let him in? Lord, have mercy on me, a sinner. Bring me back into your presence and your loving care. Amen.